Love plants, but don’t have the horizontal square footage to put in a garden? Don’t feel down—look up! 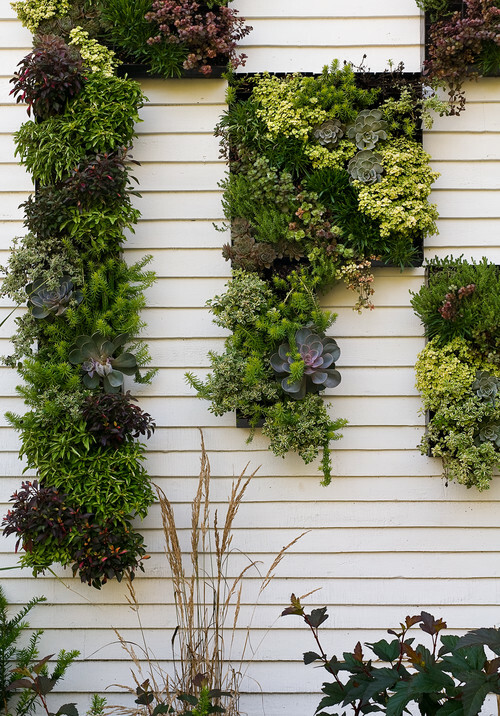 Refocus your sights on growing a vertical garden. 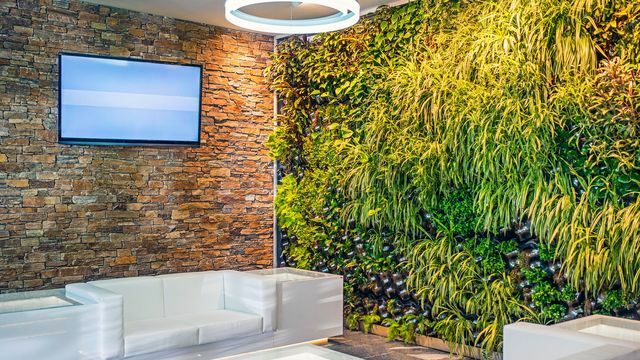 Also known as a living wall or a green wall, a vertical garden makes use of wall-mounted planters or a frame to support an assortment of foliage. It’s an efficient way to cultivate some green in your not-so-spacious property. The best part? It can be built indoors! That’s good news for those of us who live in urban areas where every single inch of space is valuable. Read on to learn how to make your walls come alive. Whether you want your vertical garden to be indoors or outdoors, make sure the plants have access to sunlight. Um, that’s quite obvious, right? “I’ve heard of people putting cacti in a dark room or a basement with no sunlight,” says Christopher Satch, plant specialist at The Sill, a plant design and maintenance company in New York City. In fact, the amount of natural light the space receives should drive the design of your vertical garden and the plants you choose. A few hours of daily sunlight is ideal. “Plants are not objects—they are living things that require certain conditions to live and thrive, just like we do,” Satch says. Part of the jaw-dropping appeal of vertical gardens is in their display. Satch says the sky’s the limit when choosing a planter (the more creative, the better), as long as it’s a good environment for the plant to thrive. 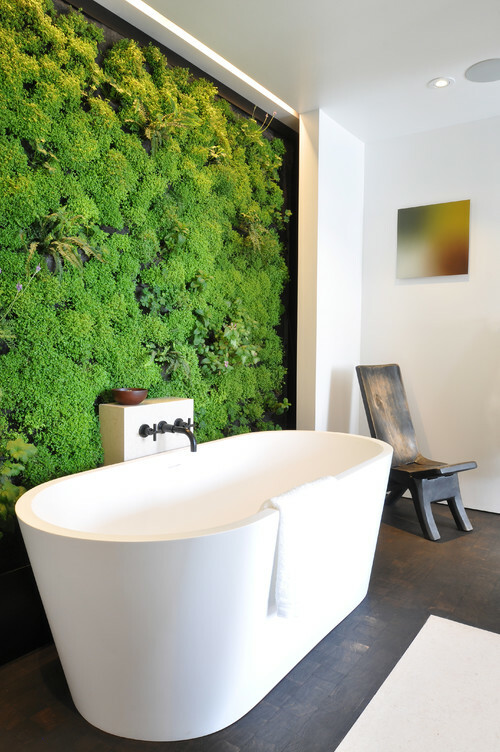 Photo by Charles C Hugo Landscape Design – A beautiful mess of plants on a vertical wall built with plastic pockets and mounted boxes. Your vertical garden doesn’t have to be part of one connected structure. You’ll likely be using separated planters, and that’s totally fine. “Plants can be hung from anywhere—they don’t necessarily have to be a part of a massive fixture,” Satch says. Many vertical gardens are custom-built, but you can also order some quick-and-easy designs online. Install some vertical garden pockets or multiple-tier garden towers. Whatever you buy or build, make sure it can support your plants at maximum wetness. “Water adds a lot of weight,” Satch says. “Also, if it’s inside, you’re going to want to make sure that it does not leak.” Otherwise, you’ll be doing a lot more horizontal cleanup. The success of your vertical garden (or any garden, really) depends on selecting the right type of plants for your environment and lifestyle. If you are unable or unwilling to dedicate a large amount of time to maintaining the garden, you should choose plants that require very little watering. But if you have a green thumb or at least more time to put into your hobby, you can consider plants that are a little trickier to keep alive. You can make your living wall look even more stunning by picking plants with long tendrils, says Satch. “Trailing plants like marble queen or English ivy are a great choice, because they’re aesthetically pleasing and their trailing ends will fill in the blanks on vertical walls,” he says. If you’re feeling boxed in or in need of a fresh perspective, adding a vertical garden is a great way to go green—literally—in your home.